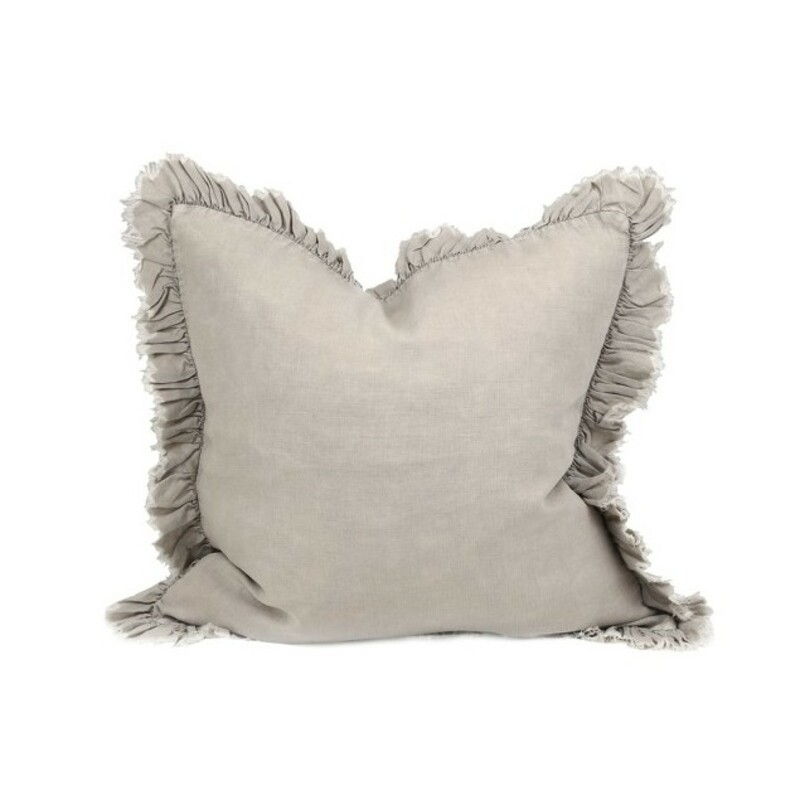 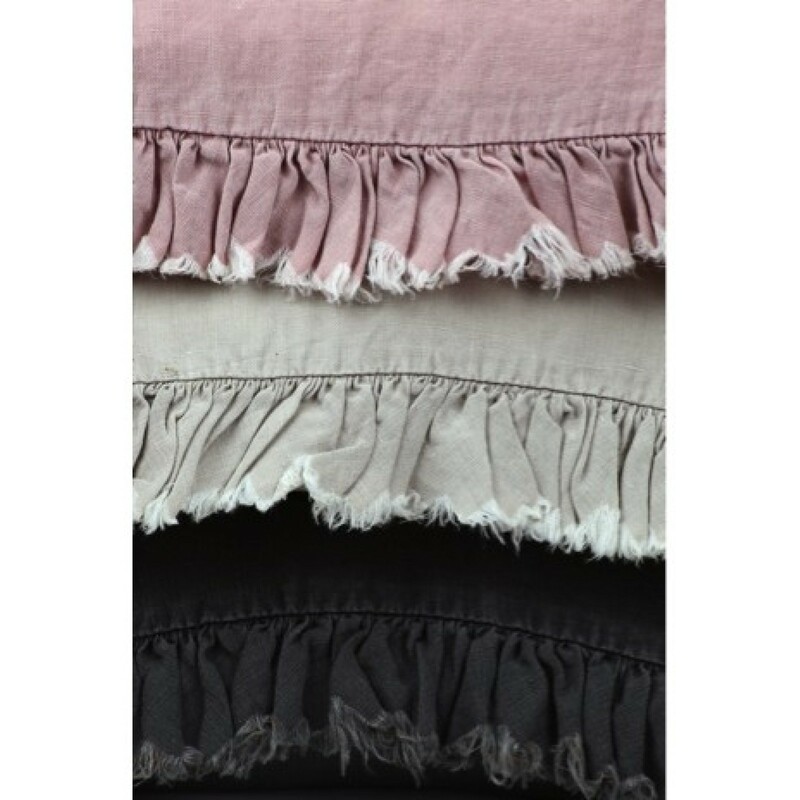 A linen cushion cover in a natural taupe measuring 50 x 50 cm with a frill trim. 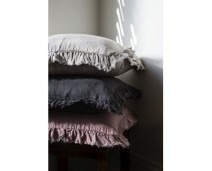 A simple yet elegant look with stacks beautifully with other cushions. 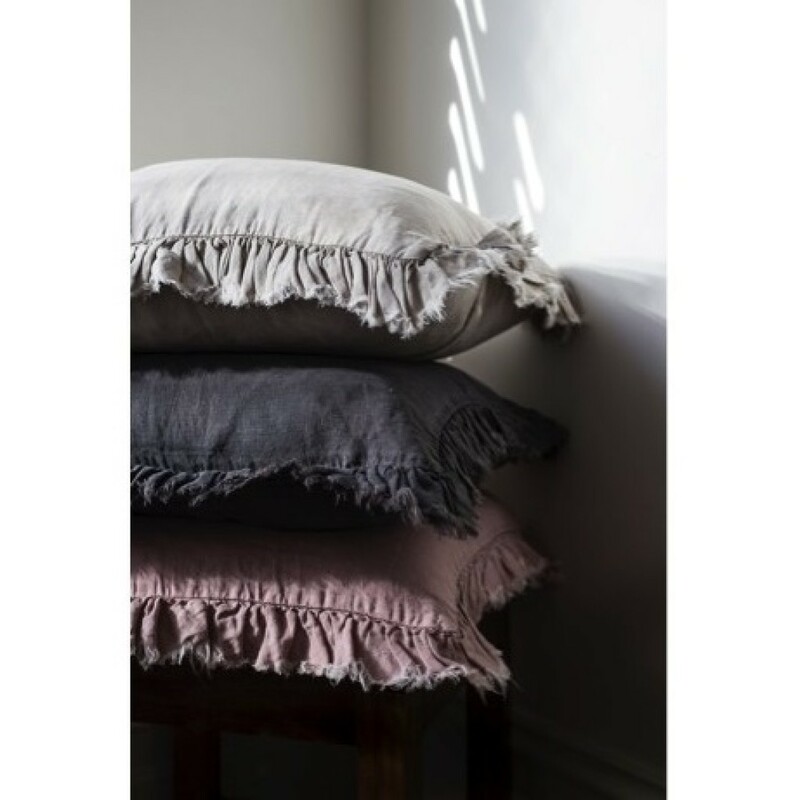 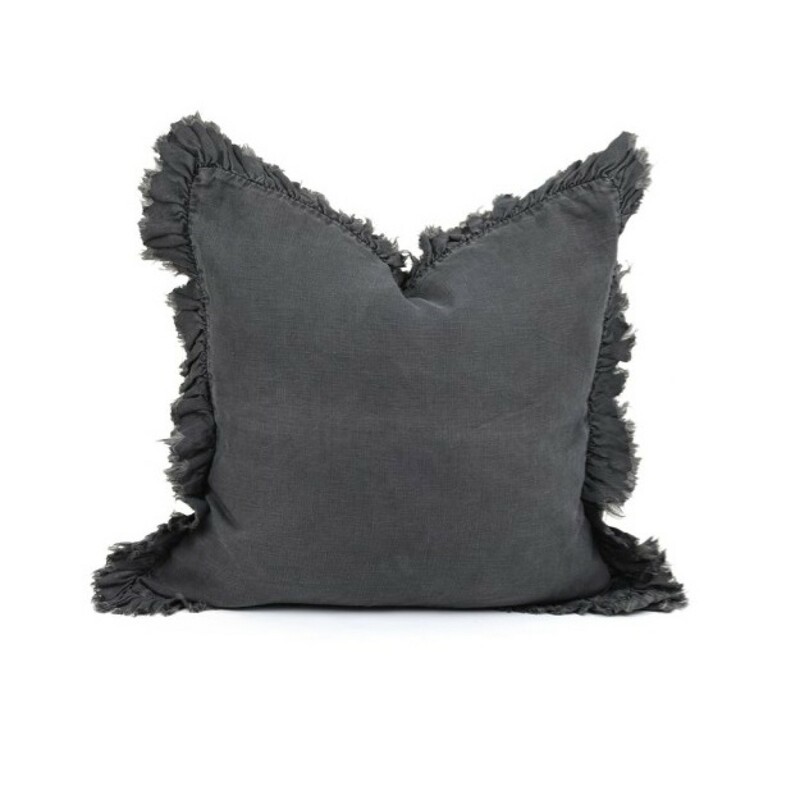 Keep is simple with a couple of beautiful textured cushions or style with patterend cushions.